Lori Truter is a school counselor and educator from the state of Illinois. She has over 20 years of teaching and counseling experience with students from pre-kindergarten to post-graduate in a variety of settings. Her passion is helping people “see the best and be the best” version of themselves. 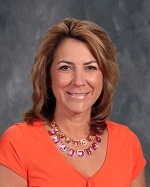 Mrs. Truter has taught for TCL for over 17 years and holds a master’s degree in School Counseling, a certificate in Educational Leadership and Elementary Education, and a bachelor’s degree in Psychology.